Follow-up emails to Amazon customers are one of the most important ways you can connect with customers, preemptively troubleshoot issues and increase satisfaction. This week’s podcast episode is all about the most effective ways you can use customer followup messages! Amazon has now extended email opt-out to customers in all marketplaces, not just the U.S. marketplace (early 2018). Also, you can no longer get messages through to opted out customers by including [Important] in your email subject line. You are now limited to sending just one unsolicited email to each customer per order placed. Be sure to check out Amazon’s Buyer-Seller Messaging FAQs for more important info. UPDATE: As of 2/21/18, the changes above mentioned above are only rumored, but not yet in effect. 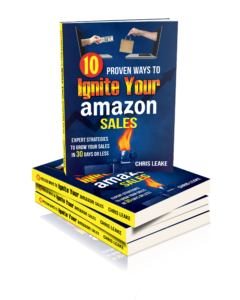 Our recommendations remain, however, of providing exceptional value through emails to Amazon customers, as well as being very sensitive to email fatigue for your buyers. A good discussion of these issues and current Amazon policy is found here. Don’t make the focus of your email more what you want from the customer (product reviews or customer feedback) than what you’re giving to the customer. Don’t send more than one unsolicited message. Don’t send unsolicited messages to customers who have opted out. Don’t ask for a positive review or feedback, and don’t ask customers to only leave a review or feedback if they had a positive experience. Don’t cross-sell or try to take people to your website to purchase other products.